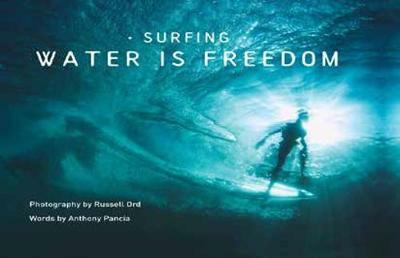 In 'Surfing: Water is Freedom', Russell teams with noted local writer Anthony Pancia to tell the story 'behind the waves' the people who surf them, those who make their livelihoods from them, and who follow the culture with a passion. It is an extraordinary book for the new mille... read full description below. In 'Surfing: Water is Freedom', Russell teams with noted local writer Anthony Pancia to tell the story 'behind the waves' the people who surf them, those who make their livelihoods from them, and who follow the culture with a passion. It is an extraordinary book for the new millennium. And Anthony Pancia's words bring the images to life with wonderful stories of passion and adventure.